I moved to live in Byron Shire with my family 10 years ago. Choosing to live in Byron was a tree / sea change for a more relaxed lifestyle, a love of nature and community. My work has been in web design for local businesses, organisations and professionals. I have been volunteering for several community benefit groups providing web design and promoting their causes through social media. Non profit groups I've worked with: Waterlily Playscape Community, Transition Byron Shire, Community Owned Renewable Energy Mullumbimby, Zero Emissions Byron, Gas Field Free Byron Shire, Ocean Shores Community Association, Mullum Seed, Byron Biochar, Landcare - Western NSW, Northern Rivers Wildlife Carers, Byron Shire Community Exchange, Northern Rivers Car & Ride Share, Reclaim Our Homes, Mullum Economics Vision, Save North Coast Nature, Kulcha Jam Cooperative. I have a passion for fostering economic cooperation to solve problems. 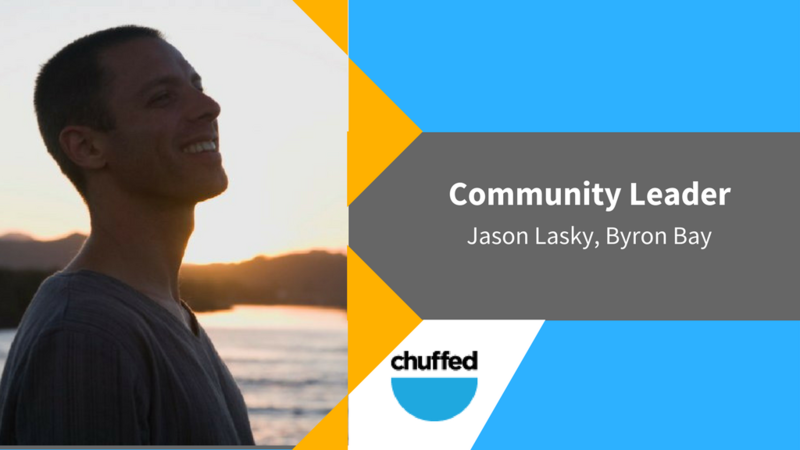 Crowdfunding has become a more direct way for community to support causes and Chuffed has one of the best platforms. Chuffed actually walks the talk of being a social benefit company. I wish to support social causes and the integrity of the platform matters to me. The Chuffed team has been so helpful in my own project and makes the experience of crowdfunding more achievable. Decades ago I heard about a community getting together to fund a wind turbine to generate renewable energy. That really inspired me and I have been working for similar goals ever since. More recently I noticed local musicians, artists who are not great business people in general succeeding with pre-sales through crowdfunding and launching their works. It became clear to me crowdfunding had become mainstream. I have a passion for community currency and fostering economic cooperation to solve problems. I have recently presented proposals for a local currency, a car sharing programme and a renters cooperative for affordable housing. I have developed social dilemma games to help people explore the benefits of trust and cooperation - I may be too busy trying to start too many projects! The Chuffed.org team as actually helped me to focus. The housing crisis is probably the most urgent issue needing my attention. This year I've run on the Waterlily playscape crowdfunding campaign, which has developed relevant fundraising skills! My work in the non profit sector has combined with my long-held interest in community development means I can't wait to hear and help develop other peoples' crowdfunding plans! I'm busy working on a campaign at the moment to raise funds for community benefit projects - the link will be added when the page comes live!